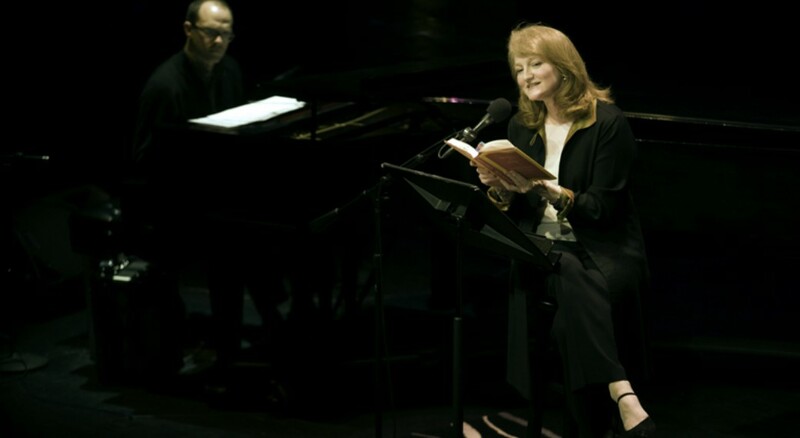 Krista Tippett is the host of the Peabody Award-winning public radio program and podcast On Being (formerly known as Speaking of Faith). In 2014, she was also awarded the National Humanities Medal by U.S. President Barack Obama. Growing up in the 60s in a religiously conservative family, she was deeply influenced by his grandfather, the Reverend C. T. Perkins. She later traces her attraction to religion to him. My later fascination with religion had surely to do with his singular integrity among all the members of my family. Here I use that word integrity strictly; he had it all together, for better or worse. He discerned certain truths about the nature of the universe, and he lived by them. They both clarified and constrained his range of vision and movement. Though he had only a third-grade education, he was a highly intelligent man. …though, he only had a third-grade education, my grandfather possessed a strange prodigious intelligence. He could perform complex mathematical feats in his head. After his death, I inherited the bibles he studied and preached by — mighty leather-bound King James versions with feather-thin pages — and found page after page marked with notes, annotations, cross-references, every margin full of observations that speak to a love for the life of the mind. From an early age I sensed this in myself, an unlearned pleasure I could take in ideas, the written word, and the thoughts in my head, their powers of making sense. However, some family members thought he was a tyrant, but she thought otherwise. I could never buy in to the popular idea in our family that he was a tyrant. He was funny. He told jokes. He laughed easily. He bought a farm after he retired from evangelizing, planted a vegetable garden, and lovingly built wooden birdhouses. Even as he preached hellfire and brimstone, he had a sense of play. He was a man of God with a sense of humor — and to this day, that is a combination I admire and seek out. He taught me to trust in an overriding sense behind the universe. 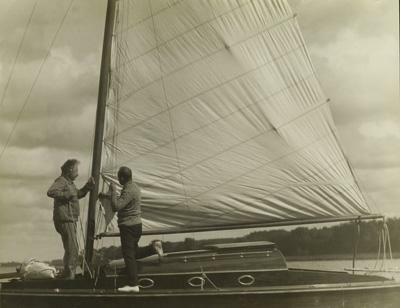 I learned from him to look for grace and for truths that reveal themselves, at times, baldly, but just as often, between the cracks in my ability to see and hear what is important. Above all, he imparted me with a sense of belovedness woven into the very fabric of life. But as she moved away from Oklahoma, where she grew up, religion ceased to make sense to her. For most of the 80s, for most of her 20s she lived in Germany. Starting out as a freelance journalist (writing and reporting for The New York Times, Newsweek, the BBC, the International Herald Tribune, and Die Zeit), she ended up working as a diplomat for the Reagan administration. First, as a special political assistant to the senior diplomat in West Berlin; and, after a year, as the chief aide in Berlin to the U.S. ambassador to West Germany. During those times, however, she began to ponder the moral questions arising from her experience of being close to the powers-that-be. This led her again to explore religion and spirituality. I had never before considered that it could be as painful to be a child of those who ran the camps as a child of those who died in them. I was astonished that Wiesel, a victim of German genocide, was open to seeing the tragedy and the resilience of the human spirit on every side of it. His words unsettled and moved me. They stirred conclusions I was struggling to articulate in that country with a tortured past and present. I was thoroughly caught up in the enduring strategic, geopolitical consequences of Germany’s descent into Nazi terror. Yet through Elie Wiesel’s eyes, goals like human redemption and healing — and not just retribution, economic rebuilding, and balances of power — also appeared urgent. I felt that Wiesel’s words belonged on the front pages of newspapers, that they should be shouted to the world. But I believe this had nothing to do with God. Wiesel’s faith, as he wrote in Night, had been consumed forever by the flames of the ovens at Auschwitz. Two decades would pass before I could speak with him again, and be surprised again by his words. 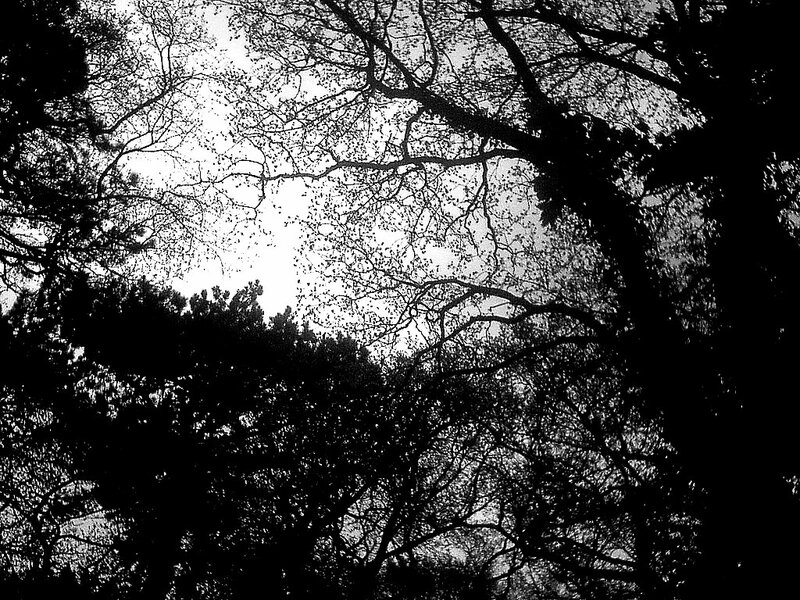 Quiet and submission born of fatigue were the beginnings of wisdom for me after Berlin. Fresh air and the sun’s warmth, almond and apricot and lemon trees, fresh bread and strong Spanish coffee, the ocean in late afternoon — these were its elements. I handed my resignation to the ambassador and his wife, believing I was headed for Washington in a matter of months. But first I decided to go back to one of the most beautiful places I had ever visited — Deia, a village ringed by mountains on the Spanish island of Mallorca. I put my furniture into storage and packed two suitcases, out of which I would live, as it turned out, for the next two years. Alone in Deia, I began to realize how tired and confused I was. I felt this physically, before I could turn it into ideas and words. This was salutary for me. I had made my way through the world up to now — and this is still my greatest virtue and vice rolled together — by my wits alone, headfirst. I forced myself out of bed at daybreak every day and rushed a silly, shallow novel about Berlin into being. I thought this was my purpose for being there and the accomplishment I would have to show for it. But in moments I thought were not productive, I looked out the tiny window by my desk. I saw a mountain, sky, and air that dwarfed nuclear weapons and the life and death they seemed to threaten. I breathed deeply. The world began to realign itself more generously, or rather my vision did. None of this was logical, none of it made sense. Starting out as an occasional feature in 2000, it evolved, starting in 2003, as a weekly program. Since then she has interviewed theologians, scientists, educators, physicians, social activists, poets, and even atheists and agnostics. …the words ‘atheist’ and ‘agnostic’ are narrowing boxes in our culture as well. Spiritual questions don’t go away, nor does a sense of wonder and mystery cease, in the absence of a belief in God. Non-religious people are some of the most fervent seekers of our age, energetically crafting lives of meaning. 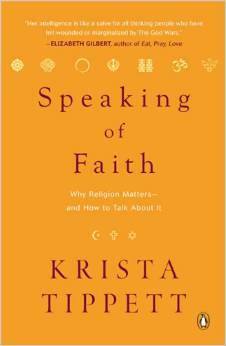 In 2007, she wrote the book Speaking of Faith. Part memoir, part reflections on the issues of the day – it is also a record of the insights she gained from her weekly interviews of her conversation partners. One thing that I and Fr. James Martin have in common is our love for Thomas Merton. Armed with a prestigious Bachelor of Science degree in Economics from one of the best business and Ivy League schools, University of Pennsylvania’s Wharton School of Business, he was on his way to corporate success. One day, however, after having a bad day at the office, he decided to watch TV. After flipping channels, his attention was grabbed by a PBS documentary on the life of Thomas Merton. It was a turning point in his life. The documentary spoke to him in a way that made him decide to be a Jesuit priest. 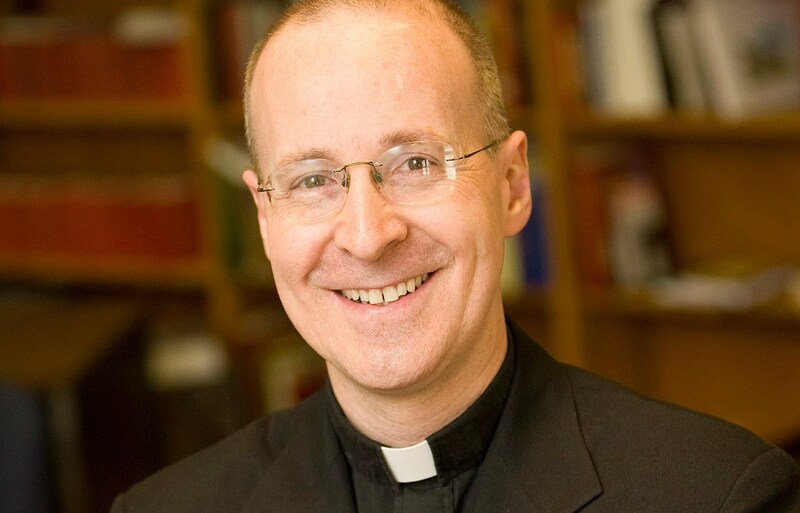 He’s been a Jesuit priest for 26 years and has become one of the most popular spiritual writers today. On a personal note, Fr. James Martin is one of my and Jojang’s favorite authors. He writes most of the time about his personal experiences; that’s probably why most people could relate to him. His simple, direct, and practical way of presenting spiritual truths is what makes his books relevant for our time. Before Pope Francis, Fr. James Martin was perhaps the best known and loved Jesuit writing in American life. He’s followed the calling of the founder of the Jesuit order, St. Ignatius of Loyola, to “find God in all things” – and in 21st century forms, as editor of America magazine, but also as a wise and witty presence on Twitter, Facebook, and Instagram. Stephen Colbert has proclaimed him the chaplain of “the Colbert Nation.” To delve into Fr. Martin’s way of being in the world is to discover the spiritual exercises St. Ignatius designed to be accessible to everyone more than six centuries ago. These underpinned the Jesuit way of “contemplation in action” and are now shaping the Vatican in a new age. We’re putting our show about depression on the air again this week. It’s been over two years since it has been broadcast, and, as always with rebroadcasts, we went in and refined and hopefully made it better. But this is essentially the show we created six years ago, which people discover all the time online. Some have told us it has helped keep them alive. This kind of effect of our work is humbling and amazing beyond words. But in every way this show is unusual. It is more personally revealing for me than anything else we’ve done. I feel vulnerable knowing it will be out there in the ether again in coming days. In my journal this week, as in the program script, I “disclose” that when we first created this program I took the making of it as an occasion to walk with some trepidation back through the spiritual territory of despair. I have a bit of the same sense now, airing it again, because that dark place seems a bit closer to me this February than I’m happy to admit. It’s a long, cold, depressing month in a frankly depressing moment in time, and I’m very tired. As I prepared for those interviews years ago, and conducted them, I worried that peering down into that abyss again — even in memory, or vicariously through conversation with others — might send me into it. It did not. It was a clarifying, strengthening experience; one that made me grateful to be at a remove where I could in fact learn from depression rather than be enveloped by it. But I will stress here — as much for myself as for anyone reading — that we are not in a place to find spiritual enlightenment when we are in the throes of this illness. Just in recent weeks, I had a new conversation with Parker Palmer, in which we both found wisdom on economic depression in some of the ways he had talked to me about clinical depression all those years ago. But hearing this show again right now, I’m personally most held and strangely comforted by Andrew Solomon and especially Anita Barrows’ insistence that emerging from depression — “healing” if you will — doesn’t mean leaving darkness behind. It means being aware and whole enough to accept dark months and dark times as expressions of human vitality. Those of us who have struggled with depression live imprinted with its reality — and the terrifying possibility of its recurrence — ever after. It is a gift, albeit an uncomfortable one, to live on this side of health where I can accept darkness as a companion, not a teacher when it is as close as this, yet an essential thread of the life that is mine. Rosanne Cash surprised me right from the start, by calling her father Johnny Cash “a mystic,” and revealing herself as one too. As much as any person I’ve interviewed, she leaned in close. She was ready to meet me on the adventure a real conversation can be — one full of revelation and beauty. Language and music, in that order, were the early mediums of her spiritual sensibility. She describes herself growing up as something of a geek. She remains perpetually and intellectually restless. It took her awhile to find her own voice, indeed to imagine that a life of making and performing music could be desirable. She’d grown up experiencing the performer’s life — incarnate in her famous, beloved father — as hard on those one loves. As she found her own voice, she found her own delight in joining her energy to an audience. In that exchange, she also discovered all the elements of religion that she desired: truth, beauty, mystery, creativity, and a sense of the divine. We’ve put the word “time travel” in the title of the show we’ve created from my magical hour with Rosanne Cash. It’s a phrase that comes up again and again — especially when we talk about the music that emerged from her grief a few years ago when she lost her father, her mother, and her stepmother June Carter Cash within a span of 18 months. From this period, the Black Cadillac album emerged with gorgeous songs and poetry about love before life and beyond life. Past, present, and future are often linked in the songs she writes, though they often begin, as she describes it, with a single phrase or image. There are echoes of Einstein here. Our ordinary sense of past, present, and future as distinct compartments moving forward like an arrow, he said, is a “stubbornly persistent illusion.” As it turns out, Rosanne Cash has long been aware of these echoes too, signing up for physics classes when her children were young, constantly in conversation with scientists now. She talks about songs in some of the same ways scientists talk about mathematics — as discoveries, waiting to be caught, as much as inventions. 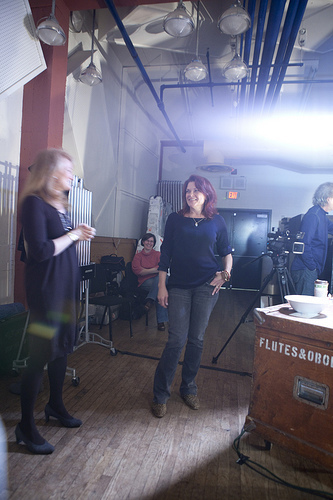 For Rosanne Cash, songs are embedded in the fabric of the universe; this image alone is a gift from my time with her. I am left with a sense of a woman who has seen a lot of life and turned that into wisdom. She is raising five children, lost her voice for several years, and underwent brain surgery four years ago. She continues to work with these raw materials of experience and wrest purpose and joy from them. Several people have told us that watching the video of this conversation moved them to tears. One emotional moment for her — better experienced on the video than by audio alone — comes when she tells me about performing at Folsom Prison in March of last year. There, her father created one of his most famous performances and an iconic album. While touring the prison, Rosanne Cash met a prisoner who served at San Quentin Prison when her father also played there in 1969, and was now spending the rest of his life in Folsom. Her eyes fill with tears as she describes her dialogue with these men about freedom, outer and inner, and the confusing human struggle to gain the latter, whatever our lives have brought.